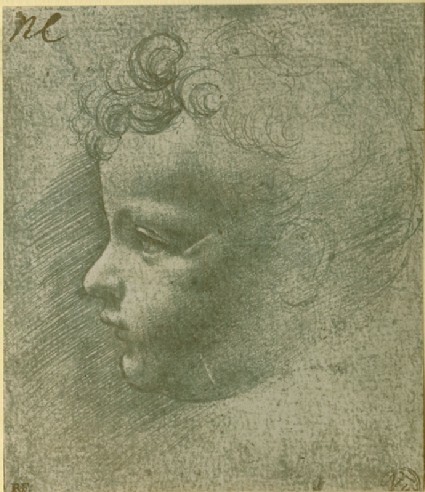 The drawing shows a child's head, in profile. Although it is in fact monochrome, the photograph has been toned to match the colour of the original sheet. The photograph reproduces a drawing now in the Louvre (Cabinet des dessins, no. 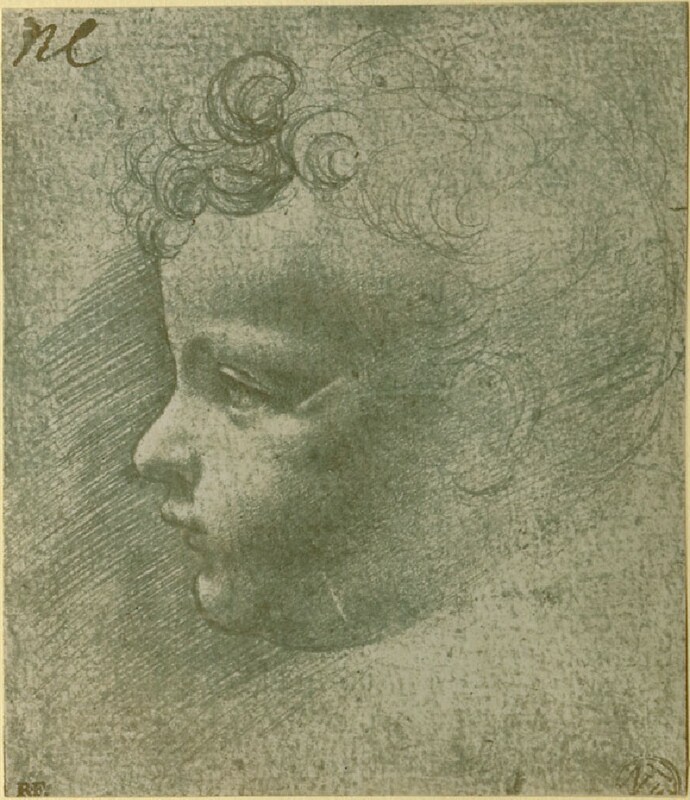 2250 recto), traditionally identified as a Leonardo but recently given to Boltraffio and dated c.1490. 12. Studies of Heads. (Lionardo.) Photograph. Good examples of his sketching, and very beautiful in management of crayon for shade. In points of character, whether of childhood or age, they are wholly deficient, for Lionardo only sees external form; and this old man’s head, in spite of its laborious delineation of apparently characteristic points, is essentially Dutch in treatment, and represents indeed wrinkles and desiccations, but not characters. Holbein, Reynolds, or Titian could give more character with ten lines than Lionardo could with a day’s labour: and throughout his treatise his conventional directions for the representation of age and youth, beauty and strength, are in the last degree singular and ludicrous.